An Interview With Allyson: Are We Seasoned Spouses? I read Tom Brokaw’s The Greatest Generation during my senior year of college. Clay and I were engaged and learning how to navigate the 1900 miles between us. I bought a copy at the used bookstore in town and read the collection of essays at the amphitheater in between classes over the course of a few days. Because of that book, I deep dove into the personal stories from those who experienced World War II – both on the front lines and from home. I remember reading one particular story about the friendship between wives while their husbands were away at war. Their tale of resiliency, love, and the ultimate sacrifice for one of their husbands captivated me and provided me with a newfound appreciation for military wives. Since then, I’ve encountered a lot of amazing women. Some of whom I’m lucky to call part of my tribe. One such incredible woman is Allyson, who happens to blog at The NeighborGood and contributes regularly to Blue Star Families. Our husbands are at similar points in their careers (and are friends themselves!) and on what we affectionately call ‘the downhill slide’ towards retirement. When I asked her if she’d be willing to sit down and have a virtual conversation with me, she enthusiastically agreed. My preference would have been to chat over drinks around the fire pit like we did during our days at Fort Leavenworth but seeing as how we are currently 2700 miles apart, technology is our friend. Karen: Do you remember how we met? Allyson: Uh I remember the moment I first saw you. Does that count? Karen: Of course! When you shared it with me in the letter you wrote the day we PCSed, I laughed and cried. Allyson: I was making lunch in our kitchen a few weeks after we moved in and I looked out the back door and saw you and Clay walking up the back stairs to the apartment you ultimately ended up renting. And I said to Neal, “Oh great, Barbie and Ken are checking out the apartment next door.” And then I rolled my eyes. Karen: I think you mentioned that I looked pissed too. Little did you know, I just have RBF. Allyson: THAT’S RIGHT! And I have learned SO much from that first impression of you. Oddly enough, it hasn’t kept me from making other snap judgments about military wives I’ve met and almost every time I’ve been super wrong and ended up loving that person. Karen: In my defense, it is a serious condition that afflicts many people. Allyson: You looked so mad about that apartment and I think I said something like “they aren’t going to take it. She wouldn’t last two minutes in a place like this” or something to that effect. We had gotten used to all the negative comments about IB at that time and I felt like you were headed straight for Kickapoo or Shawnee. Karen: Little did you know…. However, I’m sure there have been a few military spouses who have lived up to your first impression of them, right? Allyson: There have been a few but overwhelmingly I have adored most military spouses because we are all just trying to figure it out together. There are very few divas in the military community. The majority are just like us. Karen: We met because our husbands attended CGSC the same year and we lived next door to each other. Our husband are arguably on the downhill slide of their careers now (10+ years). Do you consider yourself a seasoned military spouse? Allyson: So…yes and no…yes in the fact that we’ve been through 6 moves now and we’ve experienced several of the extremes…from being stationed at a National Guard post with no real active duty support structure (except for the one I created) to living in on-post housing and filling my days with military-related events and surrounded by military families. But we haven’t done it all. We’ve never made an OCONUS move and we haven’t been through a deployment since 2011. I know a lot more than I started with when we got married in 2006, but I’m always learning from other spouses, whether they are seasoned or new. My husband has about 33 years in the Army so I learn a lot from him. He’s DEFINITELY seasoned! But I have opinions and I’m not timid about sharing them like I once was. And they are opinions based on my personal experience, so I guess that makes me somewhat seasoned. Karen: So your husband is an old salty Army guy now? Allyson: Yes…he’s getting that way. The hair on his legs no longer grows where his boots are. His leg hair stars about mid-calf. Karen: One thing that I’ve struggled with since marrying Clay in 2004 is idea of whether the Army is just his job or if it is OUR life. I am always hyper-aware (probably too much so) about ‘wearing’ his rank or taking on his accomplishments as my own. You know – the dreaded military wife stereotype. Allyson: I think we all struggle with that. ESPECIALLY if you had a career (or even a promising job) prior to getting married. I could write a book on how conflicted I feel about losing myself and what I love because so much of this is about him. I know there are spouses who continue to advance in their career even with moving every 2 years, but I haven’t yet figured out how to do it. Sometimes it feels like I’m just filling the day. And that can be a hard pill to swallow. Probably my biggest frustration is the amount of sacrifice active duty military spouses make so that their service member can advance in their career and not have to worry about what’s going on at home. There are spouses all over the world who are advancing in their careers, but they have parents and in-laws who can help watch the kids so that both parents can work or they don’t have to pick up and move every 2-3 years and start all over again (and it truly is starting all over again from scratch every single time unless you are back somewhere you’ve already been). And then having the rest of the world sort of dismiss that sacrifice with things like “Your active duty spouse can come to this museum for free, but you and your kids pay full price.” The point is not that I want things for free or even discounted. The point is that I want there to be an understanding that he isn’t the only one giving things up. Karen: It can be so tough. I will say that I’ve never felt like my husband takes my sacrifices for granted. But there are a lot of times when I feel like the Army does! It’s like the Giving Tree analogy – the Army keeps asking and I willingly give. But there is going to come a point when I will have nothing left to give. It’s funny how we feel similar but we received the label of ‘military spouse’ at very different places in our careers. You were much more established when you married your husband – I hadn’t even graduated college yet when I said my vows. 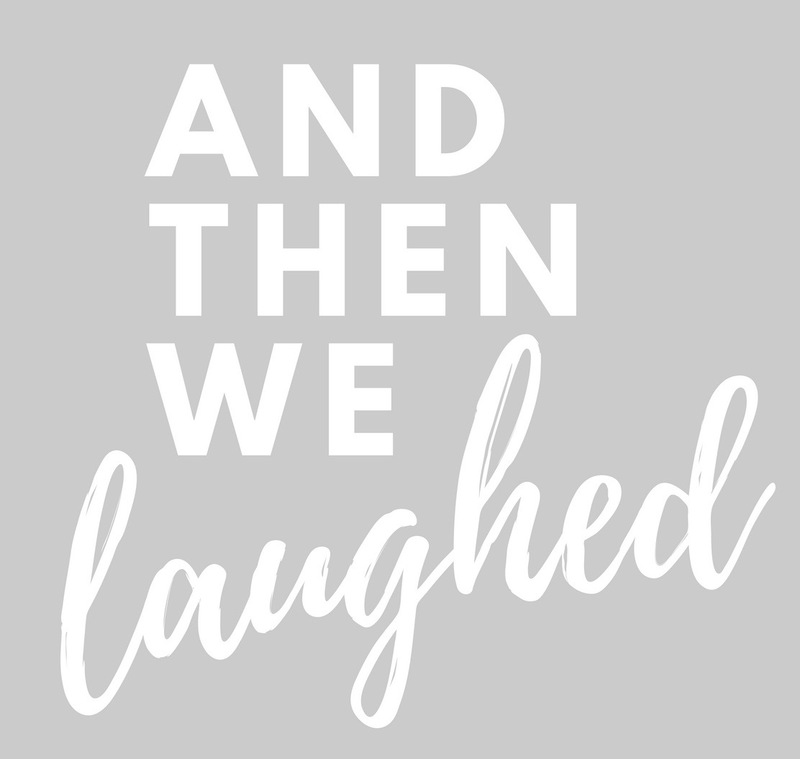 Allyson: Oh yeah…I had graduated college, (4 years after I should have), worked for the DoD and then went on to work in my field for about a year before we got married. And he was a Reservist when we got married so what I had agreed to originally was him working one weekend a month and 2 weeks during the summer. But within a year of getting married, he was deploying again. But we didn’t move originally so working and him being in the Army were not related. Karen: Both of our husbands are currently in the AGR program. Your husband entered the program (i.e. became active duty) after you were married? Allyson: My husband was a Reservist when we met. His full-time job didn’t care for the fact that the Army kept deploying him so they let him go. It was a very stressful time as we drove to Fort Knox that first time, hoping he would be able to slide into the AGR program. It wasn’t that easy. Also, unemployment insurance is a joke. Karen: So him applying to the AGR program was a joint decision? Were you 100% on board at first? Allyson: I was 100% on board because we were running out of savings and getting desperate. He was over qualified for every job he put in for. HRC called and said, “We found a slot but you have to deploy for a year.” Our third deployment in about 4 years. But it meant a job with an income so we agreed to do it. To my husband’s credit, he has never once accepted a position or a PCS (or even submitted a preference list) without first talking it over with me. That’s probably the number one reason why this still works. We are a team and we treat it as such. Karen: Are you happy being an AGR/active duty family or do you wish you were back in the Reservist realm? Allyson: That’s a hard question to answer because the answer is yes. 🙂 And I think there are a lot of us who feel that way – spouses who still feel very tied to “back home” but also love the fact that they are seeing things and living places that would otherwise be impossible. I don’t know that we would have ever tried to visit L.A., much less live here. But seeing a Disney movie at the El Capitan (across from the Chinese Theater) or exploring the sea caves around Palos Verdes is something that I wouldn’t trade for the world. Do I feel like I’m missing a lot back home? Absolutely. My friends and family have moved on with their lives and I’m not a part of that. Even if I went back now (and it’s always a possibility of going back to Knox), I would be an outsider. They would say that I’m not, but it’s impossible not to be. I’ve missed out on their lives…birthdays, births, and deaths. But I feel like my world has become so much richer since living around the country. We’ve been exposed to cultures that, honestly, just don’t exist in Kentucky and I’ve become friends with so many wonderful people that I do feel if my life was woven into a quilt, the colors would be more vibrant, the patterns more diverse. How can I say that I would give all that up? And that’s why, regardless of the assignment, I know that we will do all the things, eat all the food, talk to all the people. A lot of people call me a chameleon and I don’t know about all that, but we do dive headfirst into our duty stations because we may never pass this way again. It is the best way the Army gives back. But I still get super jealous every time one of my friends PCS’s to Gemany. Karen: I think we both know how I feel about PCSing to Germany! 🙂 Okay – enough about me dwelling on that. Seeing as how your husband is on the downhill slide of his career, do you have an idea of where you want to end up post-retirement? Allyson: It’s so funny because I tell everyone, “He took me to Fort Indiantown Gap, kicking and screaming and he took me away, kicking and screaming.” Man, there is just some kind of beauty about that part of the country. Yes, it’s a slower pace, for sure. I mean, the Amish are still tilling the land with mules. But everything there just feels so much more purposeful. I also have some German ancestry on my father’s side and he spent time in Germany before going to Vietnam. I’m pretty sure that influenced how he parented me. So living out our days somewhere with such a heavy German presence just kind of feels like coming home…even more so than going back to Kentucky. And if we want to be in DC, Philly or NYC, it’s a short car ride. And I am not a west coast girl. I kind of already knew that, but living out here has just reinforced the idea. I’m too black and white and it’s all very gray out here. Karen: I am incredibly jealous that you know where you are meant to be…it must provide a sense of peace when life gets crazy at the hands of the military. Allyson: It does, but I also have this terrible habit of house hunting on Trulia when things get hard here. And more than once I’ve found my ideal house. But I know it isn’t time yet. I think it makes me a little more impatient to just hurry up and get all of this over with so we can go back. And that’s not always the best way to live in the moment. Karen: What do you think you have learned the most about your label as a military spouse? I would say that I have always made snap judgments about people based on just looking at them (this probably comes from the fact that when I was younger – middle schoolish – my mom and I would kill time by sitting somewhere and making up stories about people who walked by. It was a fun game, but sort of morphed into a much more dangerous habit). And I didn’t HAVE to make new friends when my husband was a Reservist because I had had the same friends since Kindergarten. I could be as close-minded as I wanted to be and it didn’t really personally affect me. But with that very first PCS and having to meet people just to get out of the house taught me that I am not an island, that my husband and I are not an island. I need people to be my tribe wherever we are stationed. Fort Leavenworth was probably the first time that I completely misjudged an entire group of spouses and ended up adoring every single one of them. And it has allowed me to be much more friendly, much more open with strangers, willing to meet them where they are instead of coming in like a bull in a china shop and dumping my “me” all over them. It’s why there are security officers at the gate who chat with me and not others, why I get along just fine with people who are considered rude by others. I’ve learned to let go of assumptions and just give people time to show me who they are and that has made everything more pleasant because at the end of the day, this life is really about connections and relationships. Without those, my husband is just working a job and I’m just filling the day. Karen: Speaking of military marriages – what advice do you have for keeping a marriage/partnership thriving despite the many demands of the military? Allyson: Well I can only offer advice based on what has worked for us. I’m sure it’s different for others. Some marriages depend on the separation that deployments provide, and if that’s how you roll, go for it. You have to know what works. For us, it’s knowing that we are a team and that while we may not be on the same page for the daily stuff (my husband rarely knows my calendar more than a week in advance), we make decisions together (sometimes we even let our son have some say although he’s still the kid and needs to remember that). But a military marriage isn’t that much different than a civilian marriage, really. Know your love language, know your spouse’s love language. If an assignment is in a less than desirable location or there’s an impending deployment, speak that love language fluently…every day. Being able to make your spouse happy is key in any marriage, but especially so when they are sacrificing something. This is true for the spouse, too. Neal has a 2 hour commute every day and is back to doing battle assemblies (after a 6 year hiatus). Find a support structure outside of your husband, whether it’s at the gym, work or your kids’ school. And even if you don’t do regular date nights, find time each week to just reconnect. My biggest fear is that we will look up from this someday and realize that we accidentally grew apart instead of together…he was focused on work and I was focused on volunteering at the school, volunteering with the FRG, keeping things running smoothly at home while still making time for things I wanted to do…and we realize that we don’t have anything in common anymore. So foster what drew you together in the first place and keep a sense of humor about what the military throws at you. Karen: Solid advice, for sure. Allyson – I am so happy that your first impression of me was horrible wrong and we became such good friends. We don’t always see eye-to-eye but I always value your opinion and appreciate your point of view. I just have one last question before we virtually part ways. If you could sum up military life in only six words, what would they be? Allyson: Hmmm – I will have to think about that and get back to you. Allyson (via email): I’ve been thinking about my 6 word challenge. And while “Find your tribe, love them hard.” speaks to me because this life is so much more doable when you have established relationships with people along the way, I’m also drawn to “It doesn’t get easier, you get stronger.” (which I know is 7 words, but that last word is super important). Karen: Thank you for chatting with me, friend. I miss you! Allyson: I miss you too! I hope you enjoyed reading the transcript of our chat. What you’d think? Please check out Allyson’s blog, The NeighborGood, and show her some love. You can also find her on Instagram and her Facebook group. Allyson, her son, and husband. I really truly enjoyed this!!! Y’all have a great friendship!